Creative IT, based in Central London, offers a complete range of desktop PC repair and upgrade services. Does your home computer or office desktop PC run slow or require an upgrade? Our team of experienced technicians and computer hardware engineers has been serving the needs of residential and business customers all over the UK since 1994. Our wide range of desktop computer repair services include expert diagnosis and troubleshooting of computer hardware and software problems, optimisation of your computer for enhanced performance, wireless networking to installation of the latest operating system and security patches. Our turnaround time for most London desktop PC repair and upgrade services for major brands such as Acer, Alienware, Apple, Asus, Dell, eMachines, Gateway, HP, Lenovo, MSI, Sony, Packard Bell, Advent and Compaq Presario are 1-2 business days. However same day, express desktop computer repair and upgrade services are also available to our clients. 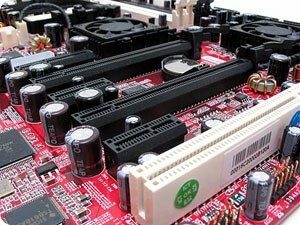 As part of our London desktop PC repair and upgrade services, we stock a variety of cases, desktop motherboards, memory, hard drives, modems, CD and DVD drives and keyboards to fix your computer quickly and efficiently. We are so confident of our desktop computer repair and upgrade services, that we offer a 90-day parts and labour warranty. Let Creative IT be of assistance to get back up and running fast. Our quick turn-around desktop PC repair and upgrade services are second to none. If you are looking for quality desktop computer repair services and support, give Creative IT a call on 020 7237 6805 or email us at info@creativeit.tv. Our expert team will work with you to provide the best solution for your desktop computer hardware, software and network problems.